I have been working on an exciting new range of modern miniatures that are a little bit different to what I've done before and I hope you will like them. 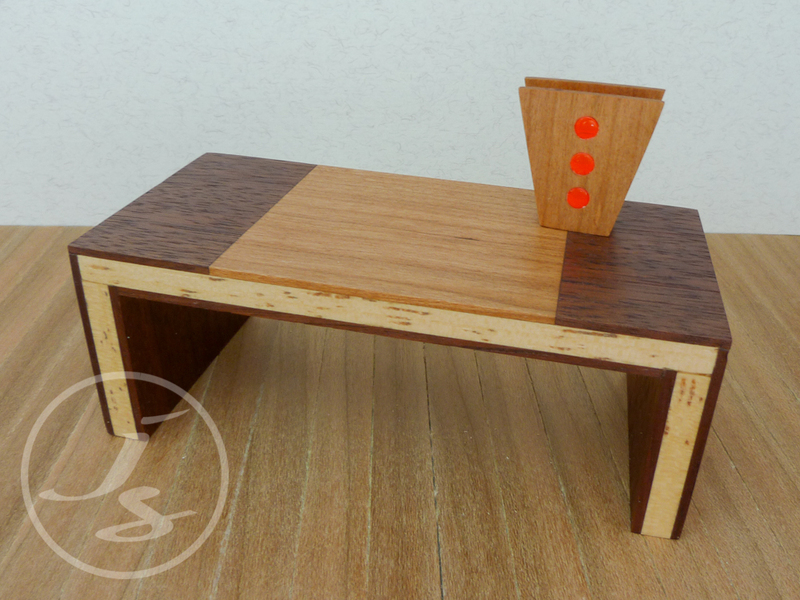 First up is a modern coffee table made from mahogany with contrasting whitewood detailing and a cherry insert in the top. It has a silky smooth finish of oil and a wax top coat and is a delight to handle. 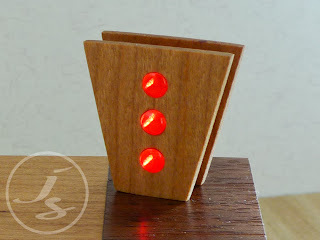 Second up is a funky 'light' / art piece which has no light source but when background lit, the red rods glow as if by magic! Comments or feedback welcome. I will be producing more of this range over the next few weeks.